I've been on the lookout for this cancel for a while, and found it at the West Coast Stamp and Coin shop! 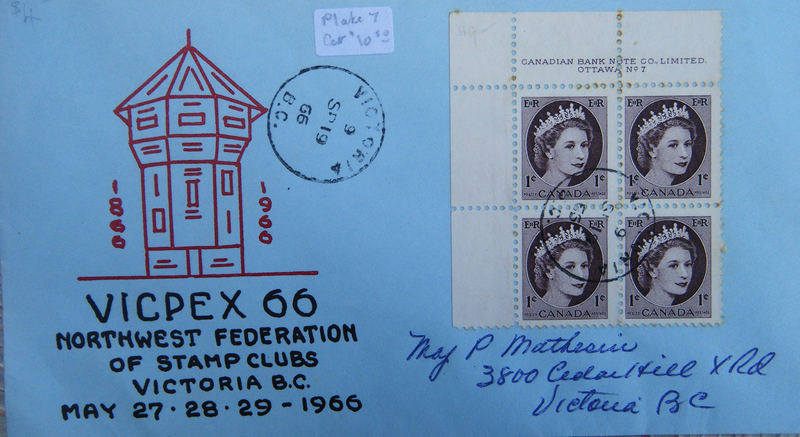 Applied during the month of March in 1943, this slogan celebrates the centennial of Fort Victoria, first built as a trading post for The Hudson's Bay Company. Thank you Joan! The Victoria bastion is on cachet. 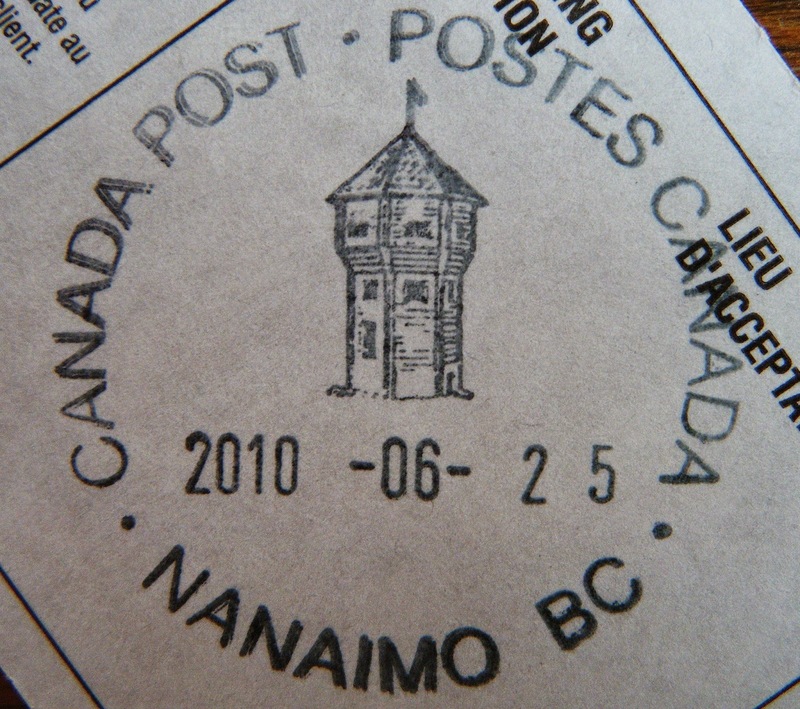 Since its demolition, the Nanaimo bastion remains the oldest standing one in Canada. Thank you Jim Miller! 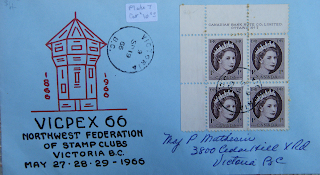 This pictorial postmark was applied on a proof of registration slip, and was in use from 1997-2012. 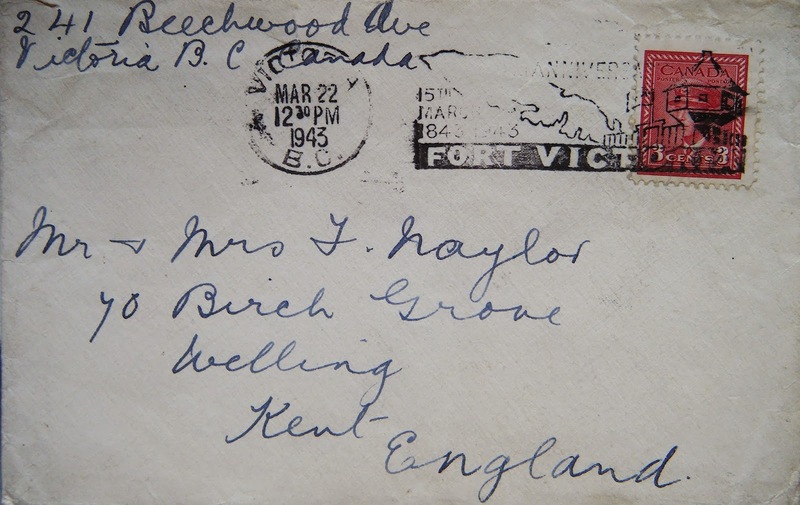 Reproduction postcard with the Nanaimo bastion. It was moved three(!) times. This is likely the second location. The Fort Nisqually HBC bastion is featured on this 'Americana' definitive 18v series, the stamp also comes in brown. The fort began in 1833 with William Tolmie, and several others building it, and trading in the Puget Sound area. Settler politics and declining revenues were factors in the closure of the fort in 1869. 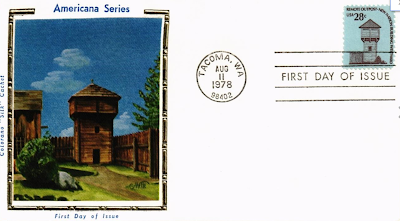 Restored buildings from this fort can be explored at the Fort Nisqually Living History Museum in Tacoma.